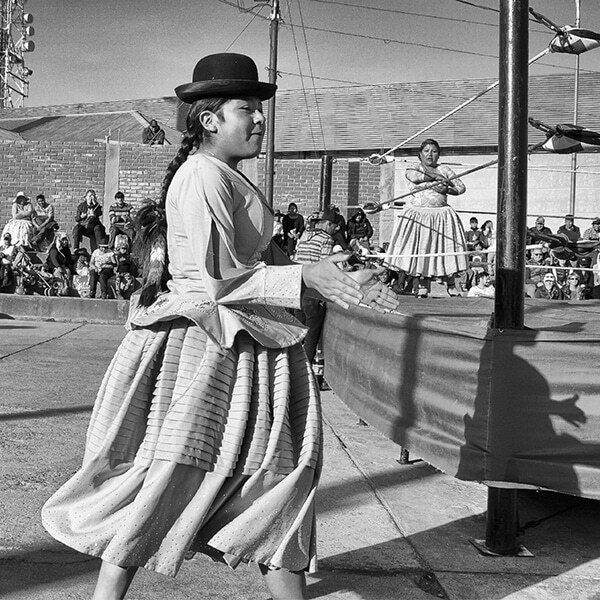 “Feeding Flamingos,” Alejandro Prieto Rojas. Bird Photographer of the Year. 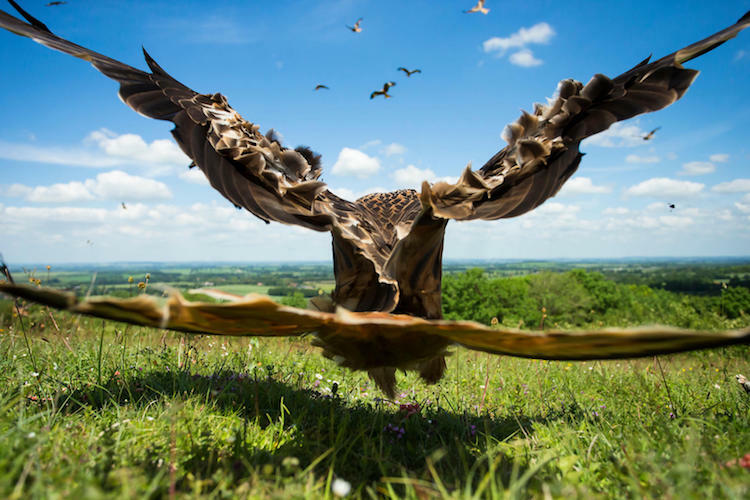 Now in its third year, the Bird Photographer of the Year is a “celebration of avian beauty and diversity.” Organized by Nature Photographers Ltd and the British Trust for Ornithology, the international competition recently announced its winners across seven categories. 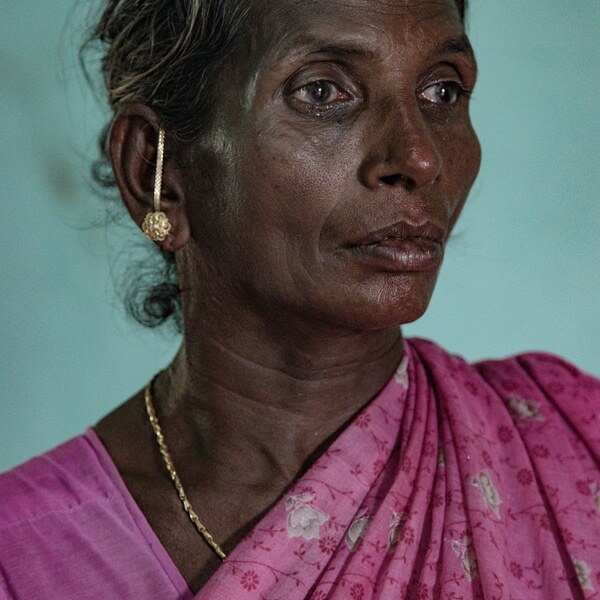 In addition to awards for best portrait and birds in flights, the competition awards prizes to the best overall image and best portfolio. 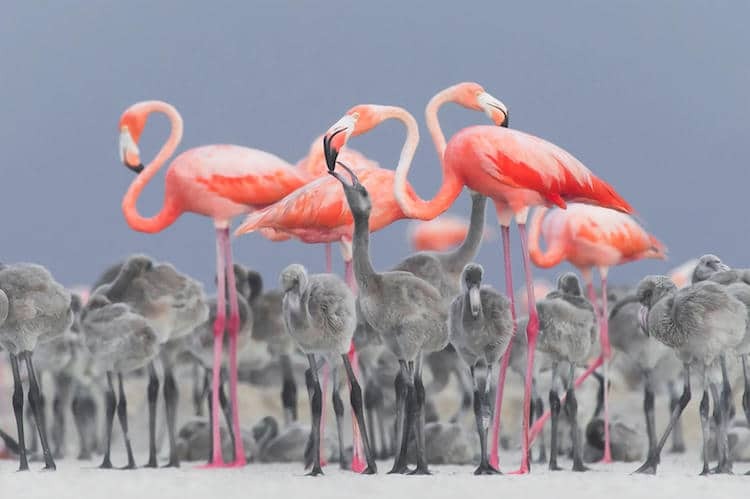 This year, Alejandro Prieto Rojas was named Bird Photographer of the Year for his memorable image of flamingos feeding their offspring in Mexico. 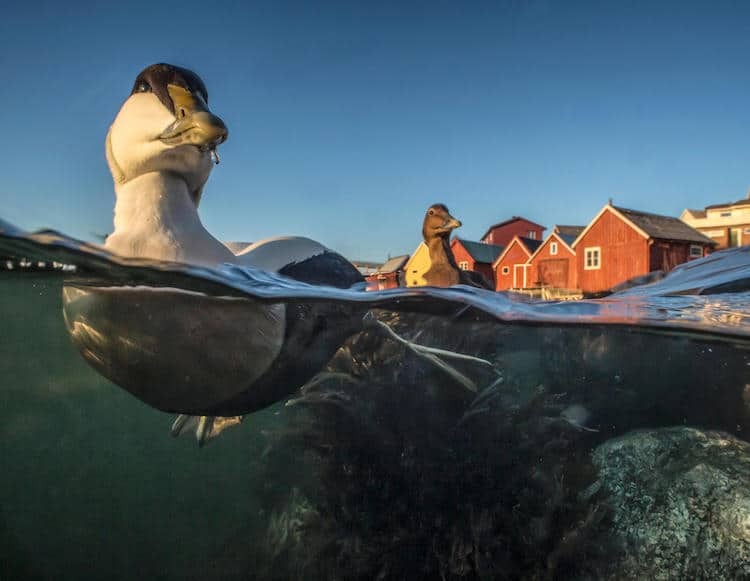 Acclaimed bird photographer Markus Varesvuo took home the prize for Best Portfolio on the strength of his avian imagery that displays a wide range of shots, from close-up portraits to artistic snaps of birds in nature. 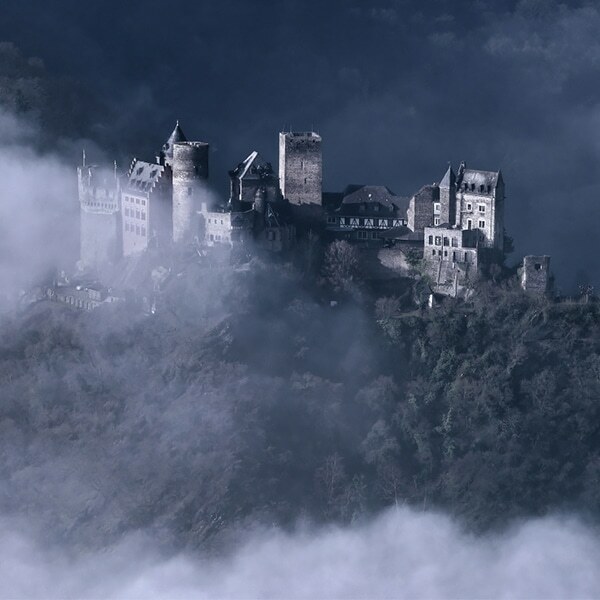 With categories like Creative Imagery, the photo contest also pushes photographers to new artistic heights. 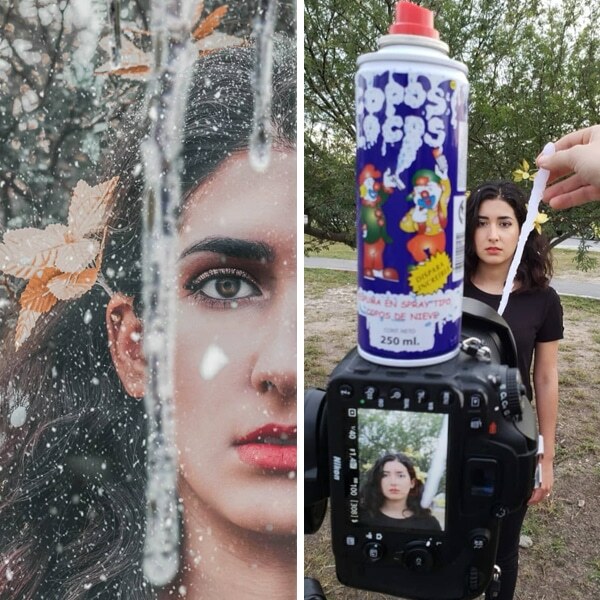 By encouraging creativity, we’re able to see how these wildlife photographers marry nature and fine art photography. The winning images, with detailed captions, are published in a book available for purchase from the British Trust for Ornithology and will be part of a traveling exhibition around the UK. The Bird Photographer of the Year contest celebrates avian beauty across seven categories for wildlife photographers. 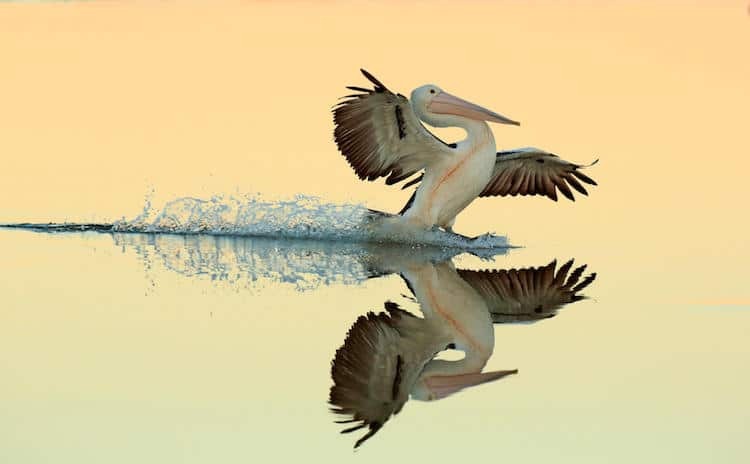 “Australian Pelican landing on water,” Bret Charman. Gold, Birds in Flight. 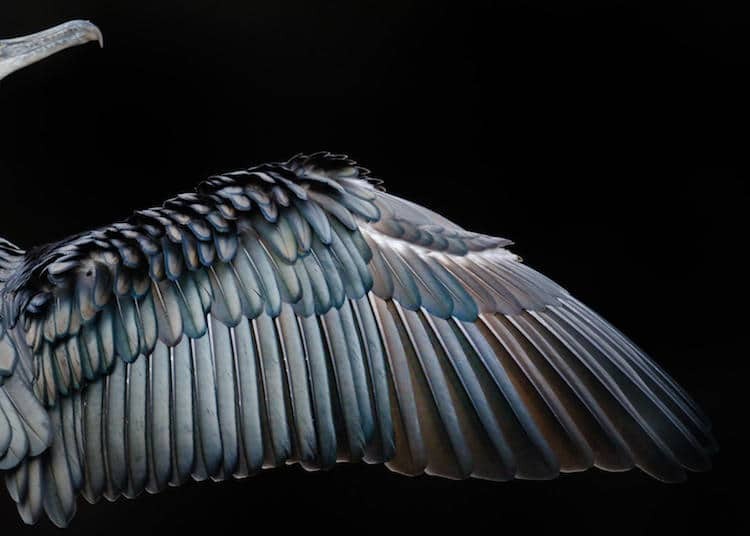 “Cormorant wing,” Tom Hines. Gold, Attention to Detail. 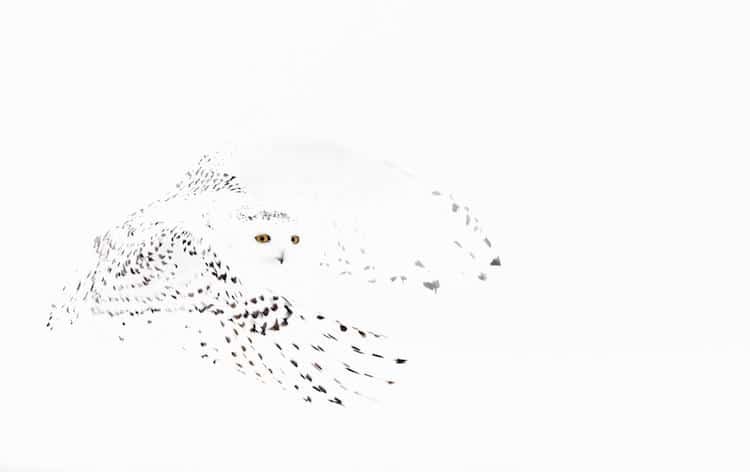 “Snowy Owl,” Markus Varesvuo. 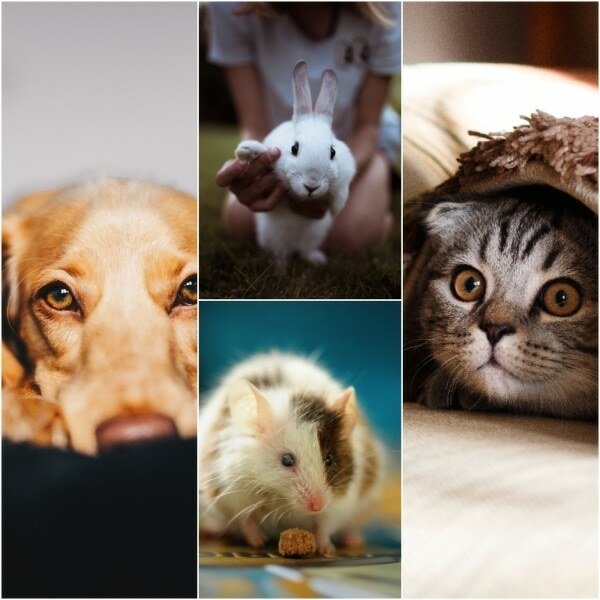 Best Portfolio. 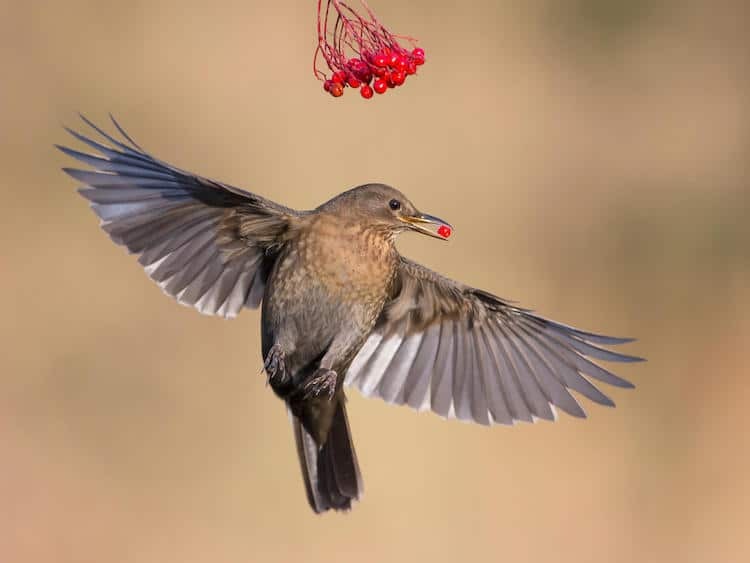 “Blackbird taking berries,” Roy Rimmer. Honorable mention, Birds in the Garden. 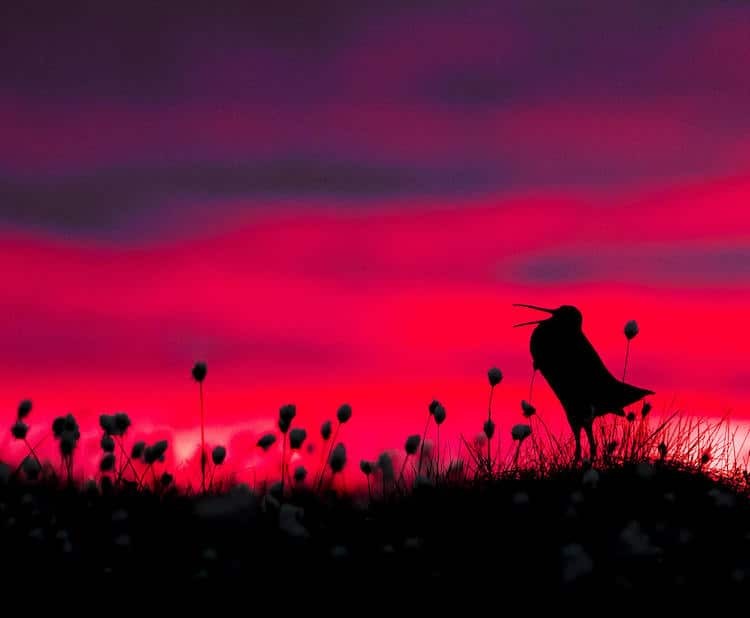 “Great Snipe silhouette,” Torsten Green-Petersen. Honorable mention, Bird Behavior. 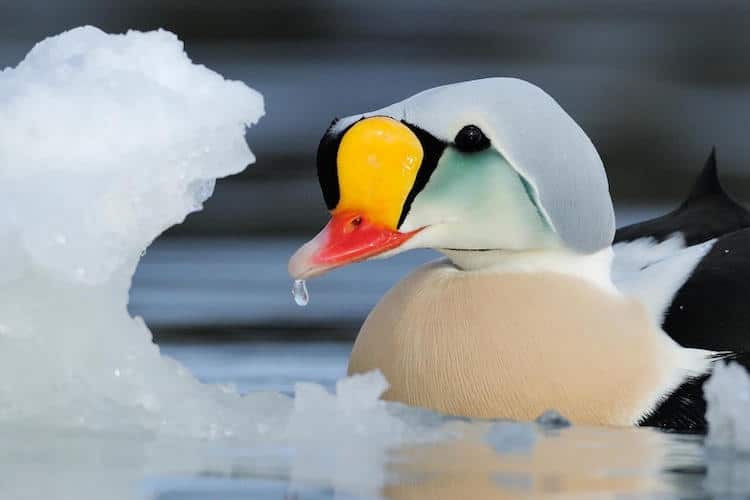 “Male King Eider,” Staffan Widstrand. 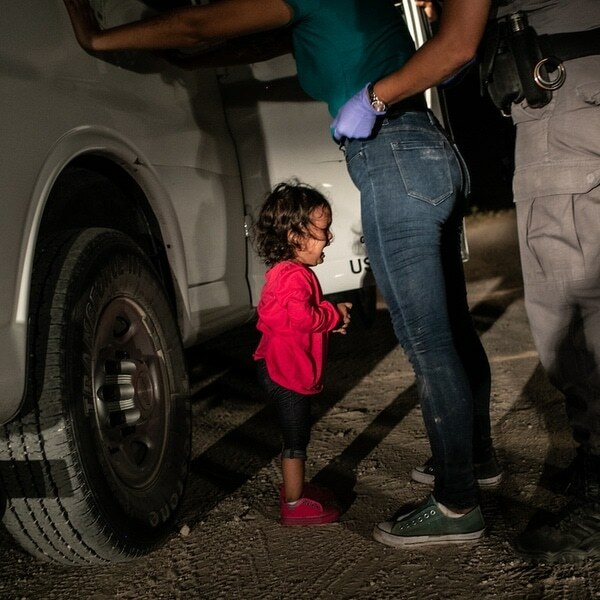 Honorable Mention, Best Portrait. 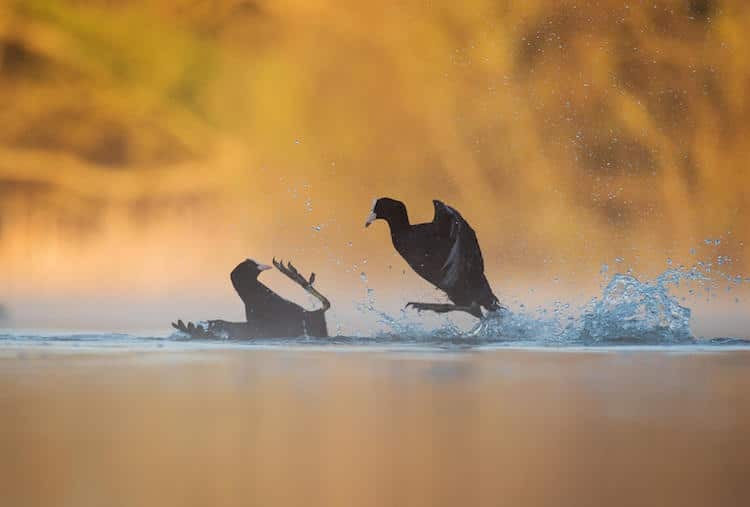 “Fighting Coots,” Andy Parkinson. Gold, Bird Behavior. 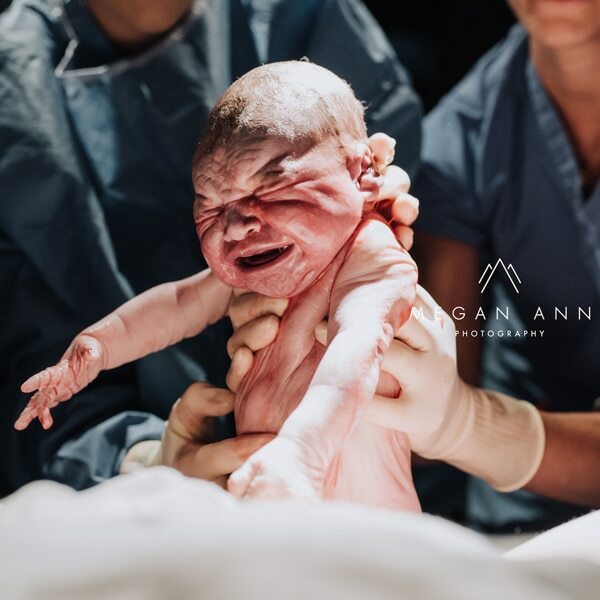 “Speculum,” Georgina Steytler. 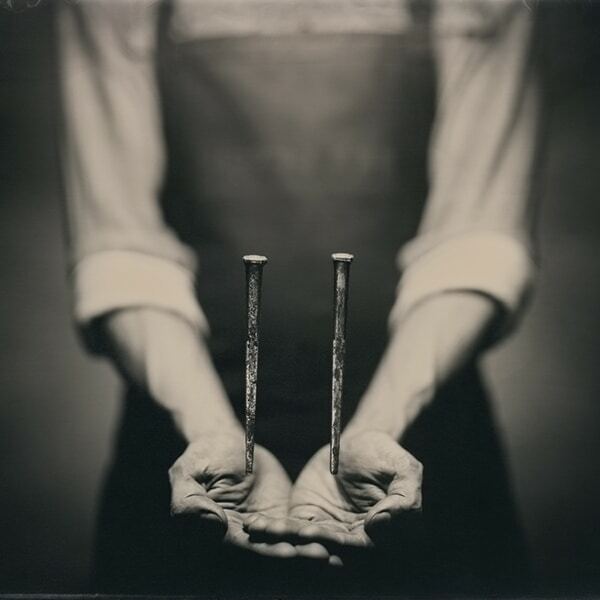 Gold, Creative Imagery. “Red Kite close-up,” Jamie Hall. 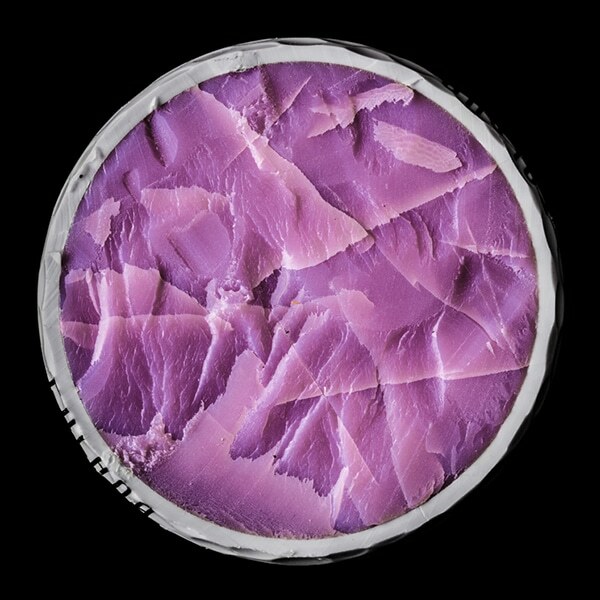 Silver, Birds in Flight. 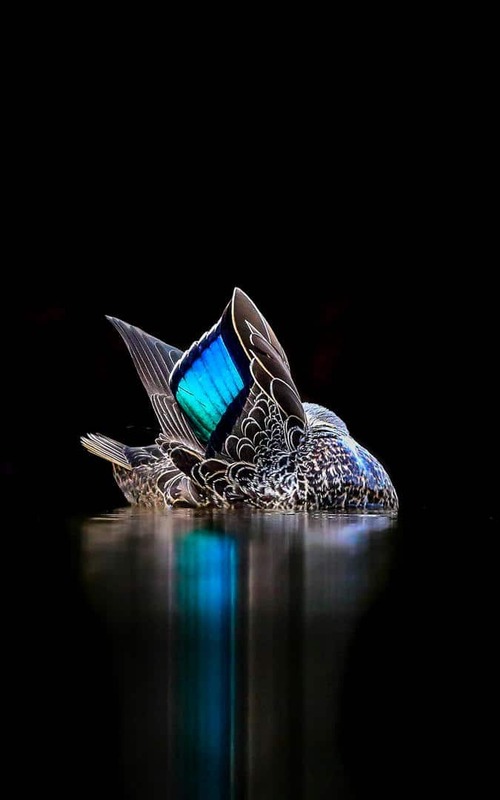 “Swimming Eider,” Pål Hermansen. 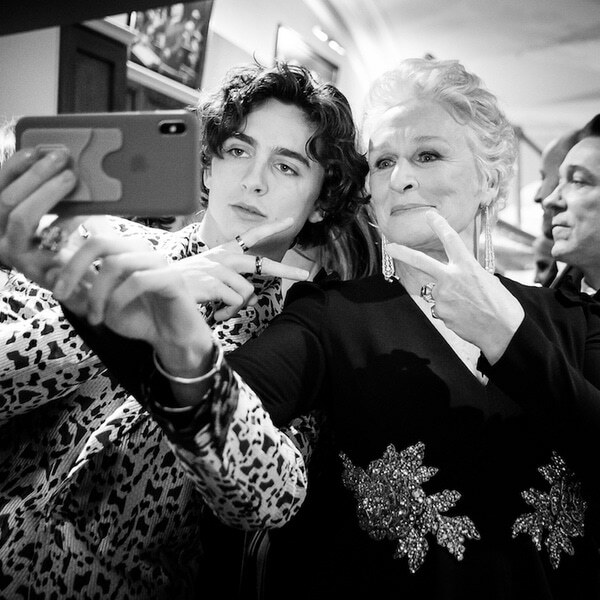 Bronze, Best Portrait. 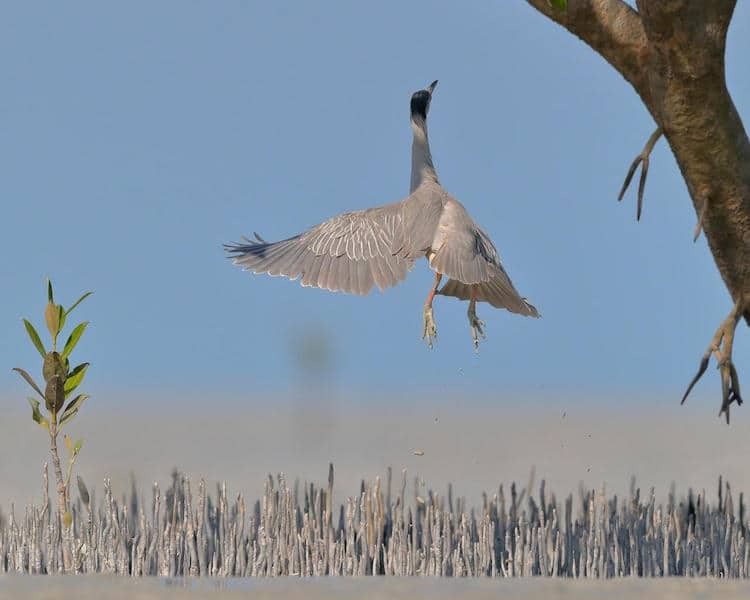 “Leaping Heron,” Georgina Steytler. Honorable mention, Birds in Flight. 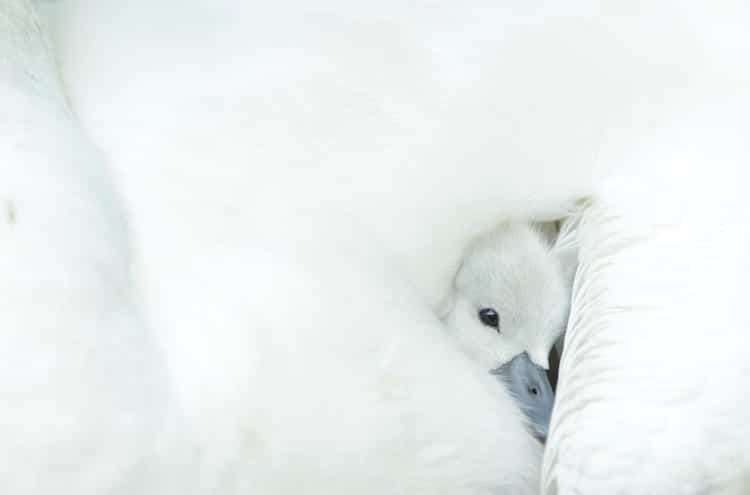 “Snuggling Cygnet,” Ben Andrew. 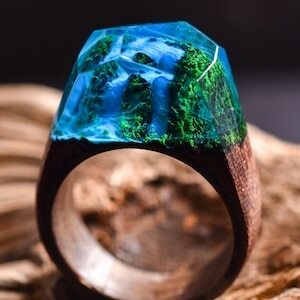 Honorable mention, Attention to detail. 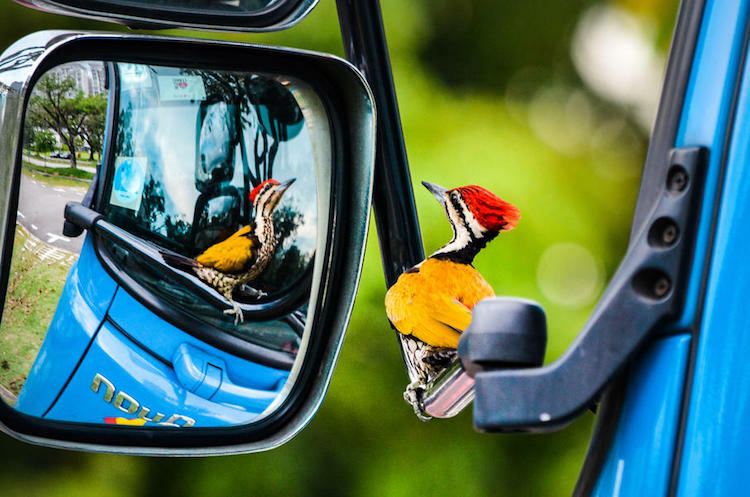 “Woodpecker in car mirror,” Kelvin Dao. Honorable mention, Birds in the Garden. 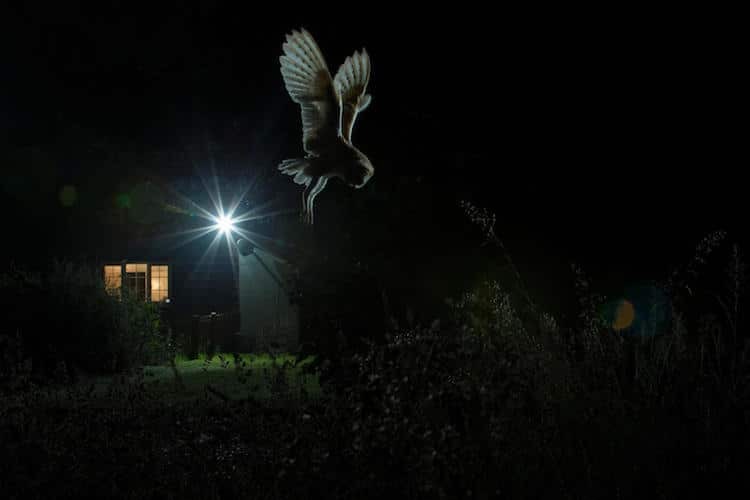 “Hovering Barn Owl,” Jamie Hall. Gold, Birds in the Garden. 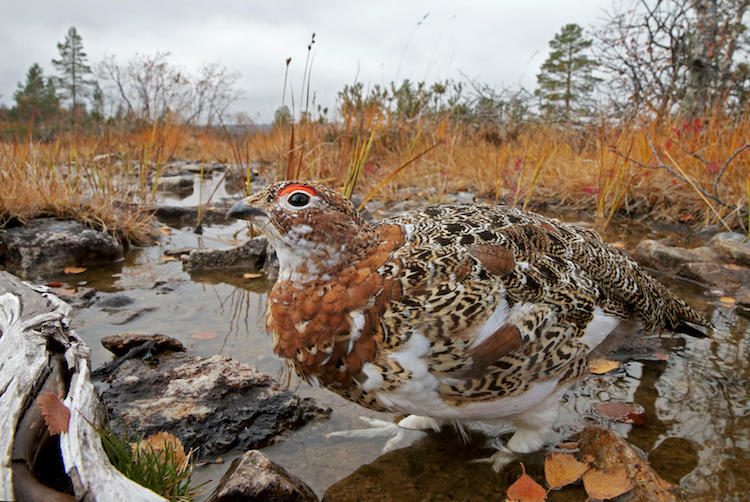 “Willow Grouse,” Markus Varesvuo. Best Portfolio. 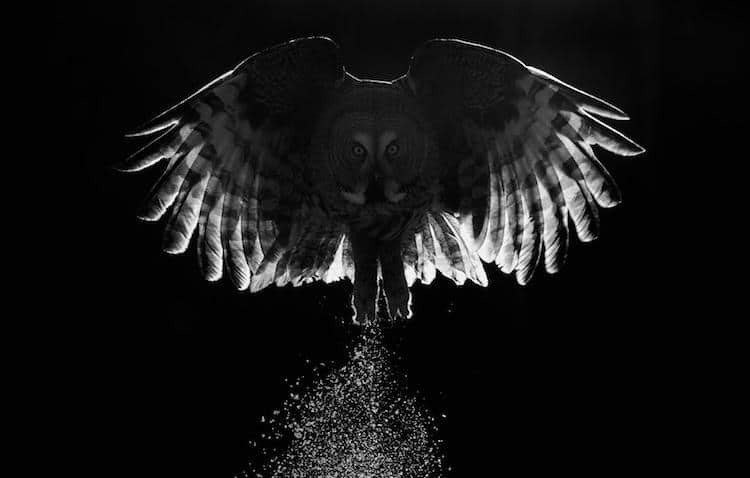 “Great Grey Owl,” Markus Varesvuo. Best Portfolio. 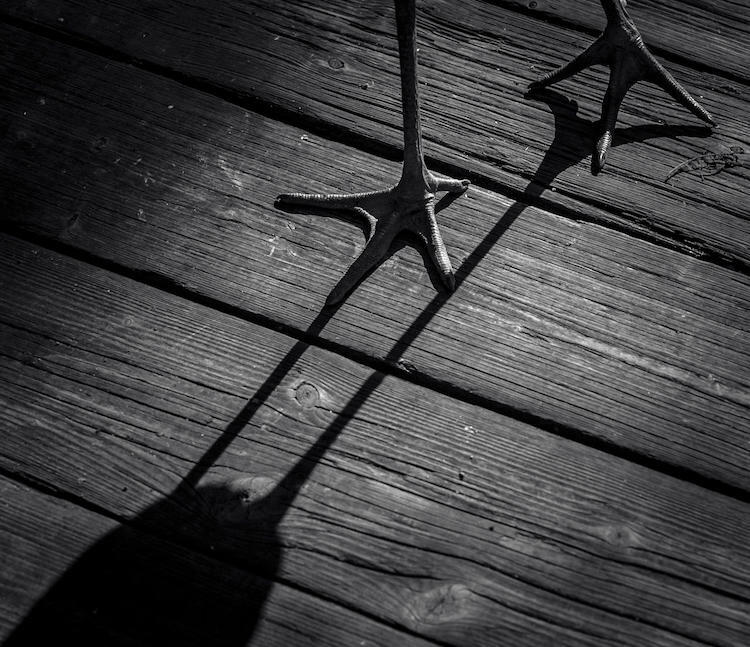 “Stork feet,” Magdaléna Straková. Honorable mention, Attention to detail.